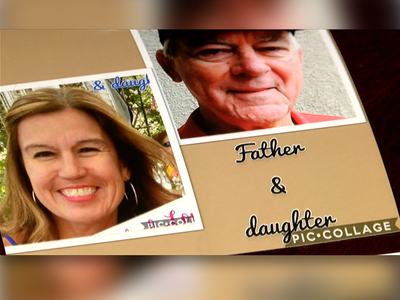 VALRICO, Fla. — A Valrico woman who has been searching for her father for 40 years has finally found him through DNA testing online. Olivia Robles tells us her mother lost contact with the Navy Soldier she met during the Vietnam War while stationed in the Philippines. "He went off to war and they went different ways," she said. 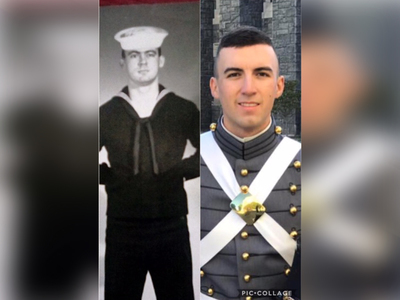 Robles, now 50, got a DNA match to a distant cousin through ancestry.com and connected the pieces with her to her father -- Gary Dean Barnes, a Vietnam veteran. Barnes started connecting with Barnes during the process as they waited for the results. The 78-year-old veteran doesn't have any children and he had no idea about Robles. Robles said after he submitted his DNA, Barnes called her to ask her if she had a middle name. "I was born in the Philippines, most people there don't have a middle name," she said, "so my father said 'you should change your name to Olivia Barnes Robles, because I am your father!'" The veteran who has struggled with health issues in the past told Robles he feels like there's a reason he's lived this long. "He said it's because of me," she said, "he just feels like this is the missing puzzle that's been missing all these years." Robles has three sons -- giving Barnes three grandsons, all of them associated with the military. Robles said her one son has a picture that shows how identical they are. Robles will be flying out west to meet her father Thursday morning, and she couldn't be more excited. "My mom knew I wouldn't stop until I found him," she said.